The issue with the dialogs was in theirs constructing. 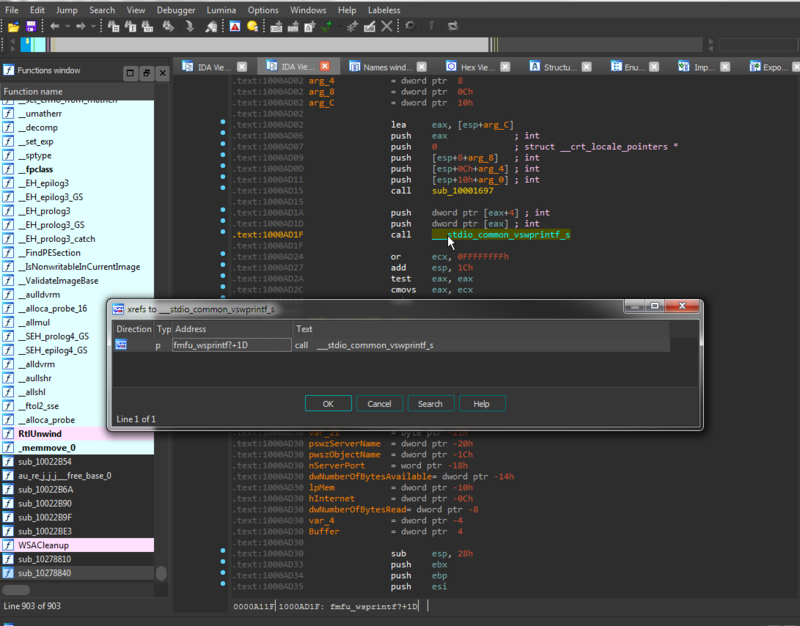 If pass the parent to the dialog, it is created with the top left corner in (0; 0) of the parent. And in order to give it an offset QWidget::move(x, y) can be used. BTW, it's commonly used to create the different kinds of Pop-ups. The XRef dialog shouldn't have a parent. So just passing a nullptr for visibility. BTW, now the XRef dialog is modal within the Cutter, but not the whole OS. To make it clear, what is the expected behavior? The possible problem with making it non-modal is that it can be easily loosed and the user will have to alt-tab to it. And even to use the touchpad on Mac, as alt-tab will not iterate through the different windows within an application. @a1ext I talk about the majority of popular applications. This kind of argument is bad, when you are building a product which you want to be the №1. For now I'd vote for @AntonReborn solution as it leave this to the user configuration instead of having Cutter taking responsibility on this. We can always change it later if that approach is not liked by the users. k, we discussed with guys and decided to leave it as you propose.